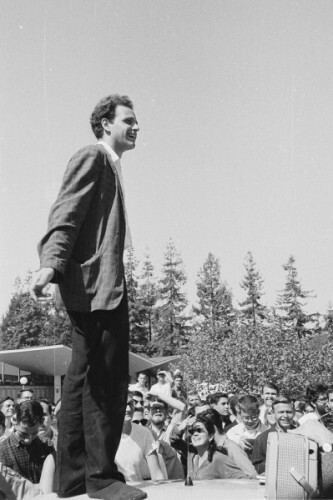 It’s been 50 years since Mario Savio awakened the country to the possibilities of resistance, civil disobedience, and personal expression on the UC Berkeley campus. 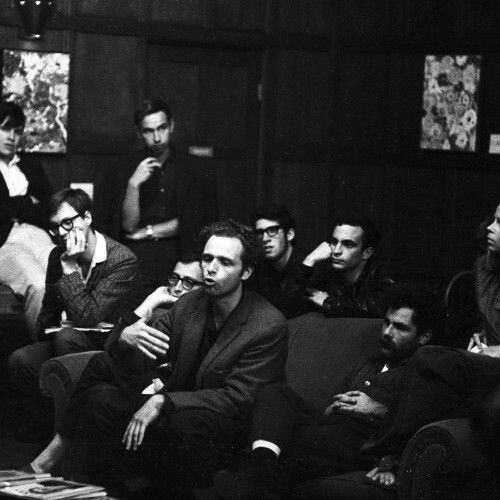 The Free Speech Movement, led by Savio, would grow into one of the most important social movements of the post-war period in the United States. 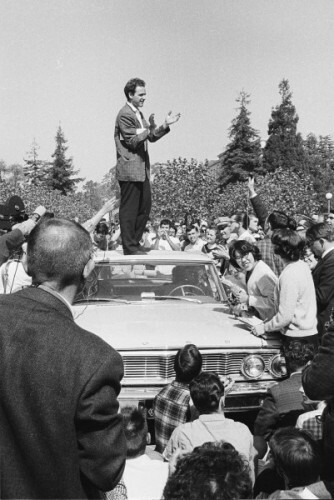 We’re celebrating the 50th anniversary of the movement with the publication of The Essential Mario Savio, a compendium of influential speeches and previously unknown writings, offering insight into and perspective on the disruptive yet nonviolent civil disobedience tactics used by Savio. 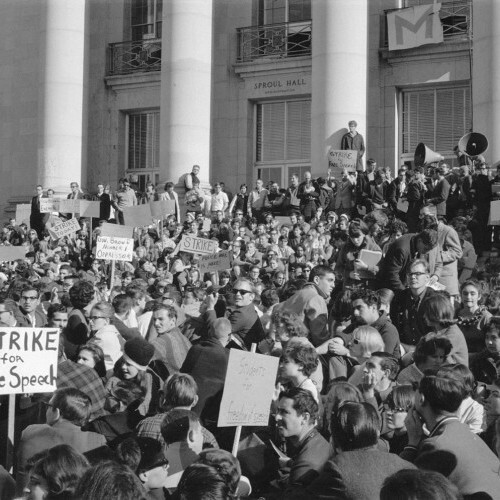 Below, watch the moment it all caught fire: Savio’s famous “Machine Speech,” delivered on the steps of Sproul Hall on December 2, 1964. Savio atop the police car, October 1, 1964. Note that he removed his shoes so as not to damage the car. Photograph courtesy of Steven Marcus, Bancroft Library collection. Savio speaking in front of Sproul Hall. Photograph copyright Howard Harawitz. Savio speaks at FSM Executive Committee meeting. 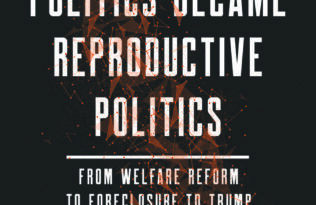 Photograph courtesy of Michael Rossman. 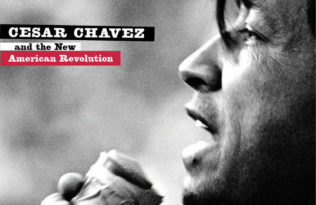 Savio is grabbed by a police officer as he tries to speak at the Greek Theater, December 7, 1964. 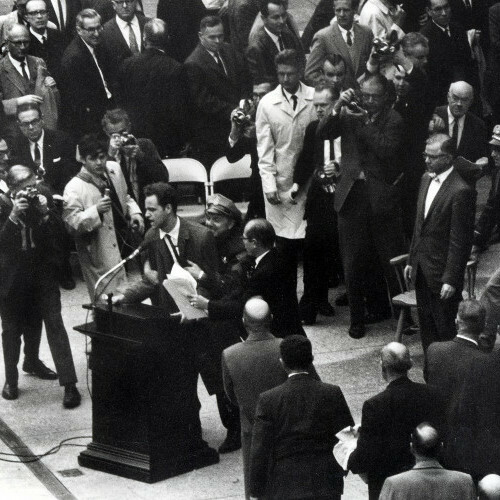 On the right, a second police officer rushes toward the podium. Photograph courtesy of Ron Riesterer. 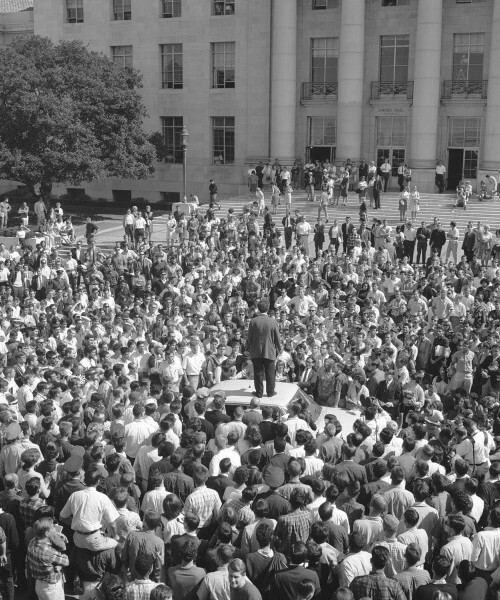 Join the conversation and help us celebrate on Facebook and Twitter using #FSM50, #MarioSavio, and #FreeSpeech. 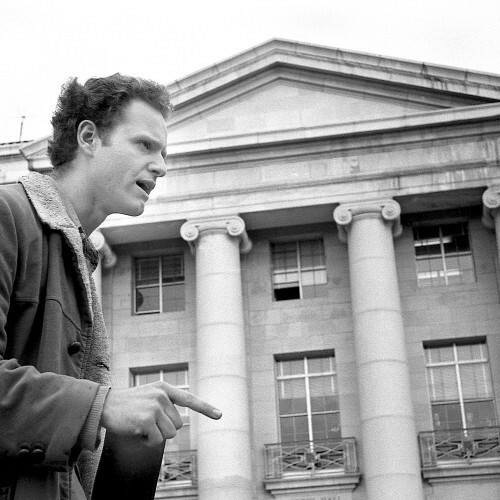 And save 30% when you order The Essential Mario Savio—enter discount code 15W4312 at checkout!